New Jersey residents have been advised to begin bracing for a potential tropical storm system after Tropical Storm Joaquin unexpectedly strengthened, slowed its track and was forecast to be closer to the coast late this weekend or early next week. Forecasters were still uncertain about the storm’s track after the next 48 hours; an official forecast from the National Hurricane Center in Miami showed the storm would begin turning northwest off the coast of North Carolina and southern Virginia by 8 p.m. Sunday. 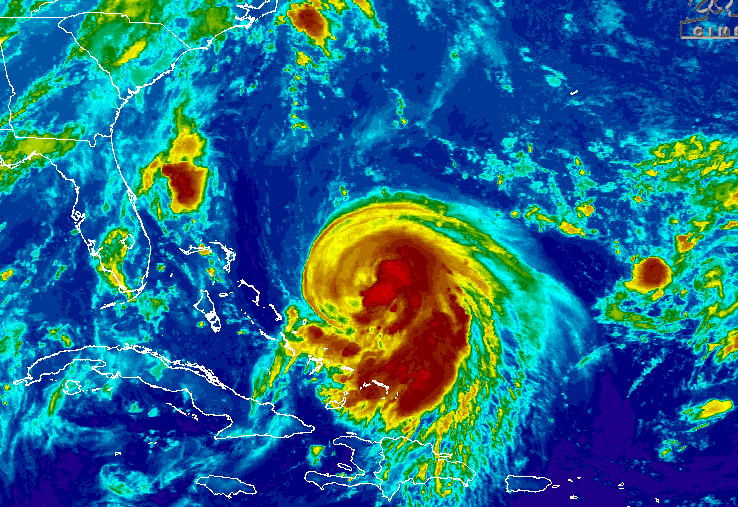 As of 5 a.m. Wednesday morning, Joaquin was packing 70 mph winds. A tropical storm becomes a hurricane when its winds reach 74 mph. Gary Szatkowski, meteorologist-in-charge at the National Weather Service’s office in Mount Holly, agreed with his colleagues in Miami, saying late Tuesday night that forecast models were “screaming that all things are possible” with Joaquin. “I rule out very little when it comes to the future,” Szatkowski said on social media. Shorebeat has begun tracking the storm more intently, with tracking features on the home page at at the top of each storm-related article. Should the storm be forecast to affect New Jersey at some point, more links and information will be added to the tracking box.